That’s also kind of way to describe the music of a band which was created from initiative of Natalia Baranowska and Grzegorz Chrząścik. The mix of scandinavian and european dream pop inspired them to find their own sound in music which has to show their emotions, passions and interests. Meanwhile, the rest of members have joined to the band, Piotrek Sawicki, Bartek Pluta and Tomek Szczepanek. NLY’s compositions are results of character’s differences and big imagination. Some of songs both in lyrical and musical side are naive, childish and super sweet but in the other hand you can find serious, kind of dramatic pieces filled with craziness of melodies and sounds. First single ‘Theory of moving on’ shows that any weakness or fears that you have to face with can be easily defeated if you really believe in yoursef and your own power that sleeps deep inside you. Our music video was made by awesome Rumburak Produkcja on freaking cold day in magical forest in Katowice (Silesia). On Natalie’s way appear plenty of things and people which she has to force with. Recently the band have been preparing material for debut long play which will contain more than ten songs. They will also start touring in first months of 2013. The main thing that they really want to achieve and focus on is to find a label which will be interested in releasing all of their compositions. Hopefully it gonna happen in 2013. Natalie Loves You is a owner of a blog where you can read about band’s thoughts that appear during process of doing songs, shows pictures and videos from places they’ve been to and comments about events they’ve attended to. Liam Campbell bought his first album when he was five. It was by Madonna. He then started writing songs from around eleven, the first composition being a ridiculously silly but sort of catchy guitar-pop jam called “Christine Gimme Your Wedding Ring”. Classical piano training began around this time and more songs came. Also developing was an appreciation for more alternative artists and the idea that music could be not only something one enjoys listening to but can mean something as well. When his cousin Micki lent him a Tori Amos record, the inspiration really kicked in as he found a way to be meaningful, emotional, weird, honest, and also to use his piano. Liam has performed dozens of gigs mostly around London, but has also performed in New York, LA, and elsewhere. When a club promoter complained that his lyrics sounded “too gay”, he gayed things up further. When a management company took issue with the incomprehensibility of the lyrics in his Icelandic song “Kirsiber”, despite it being included in the cult film Zerophilia, he started writing in French, Georgian, Polish, Swedish, and Russian. Then when a major label A&R exec said he just didn’t look right, he never looked in a mirror again, stopped performing, and went to university in order to get a “proper job”. No job was good enough so kept retreating back into academia – Liam is currently working on a PhD about homophobia in post-Soviet Georgia – but the music eventually could not be kept down. After a from-out-of-nowhere bout of depression in late 2011, a deluge new and better songs came and now Liam is back with the determination to record and perform no matter how deafeningly his demons shout him down. Liam’s music puts piano at the centre. Although he can and does occasionally pick up a guitar, he tries to avoid it as act of defiance, to prove how a piano can be just as fierce and powerful. The rhythms can be complex, the notes dissonant with seven- and nine-chords, the velocity and intensity in variation. Add to this some synth sounds, maybe a Wurlitzer or accordion, and some drum beats, and the sound is complete. His voice is distinctive, delicate, expressive and a little bit Souf-East London in accent. As for the words – they are intelligent, candid, brave and quite often rather filthy. 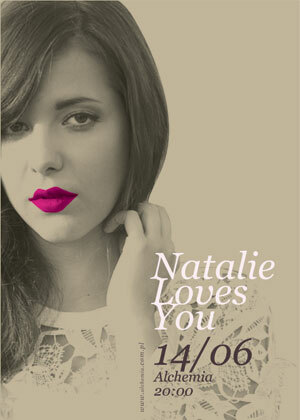 Video: Natalie Loves You 14, June 2013, 8 p.m.